Quick update on the World Cup model following the 2nd round of group fixtures. A big increase (~4%) for Portugal and large, expected, decreases for Denmark and Argentina. England also have a surprisingly large drop and go down to 8th favourites for the tournament. The impressive performance of Colombia, a potential Round of 16 opponent the likely change here. 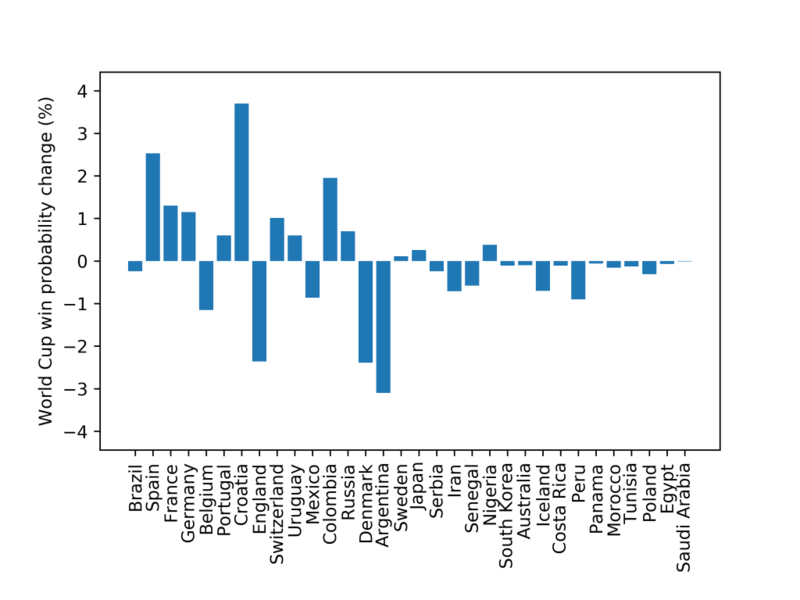 Interestingly the model actually predicts England have a slightly lower chance (~0.5%) of winning the World Cup than before the tournament began, even though they have maximum points from their opening fixtures. 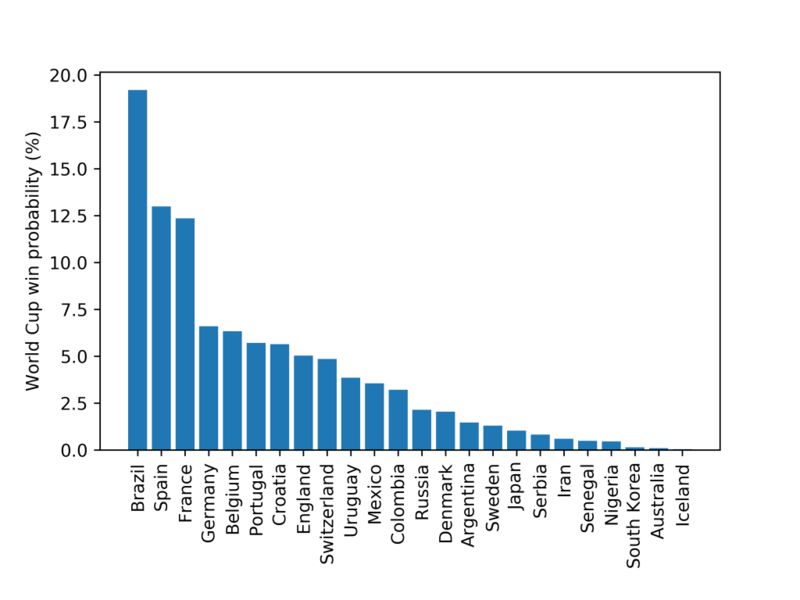 This entry was posted in Football, Mathematics and tagged football, model, statistics, world cup. Bookmark the permalink.